The Think&EatGreen@School (TEGS) project has been working continuously since 2010 with the aim to bring food literacy to children and professional development in food literacy to schools in the Vancouver School District. 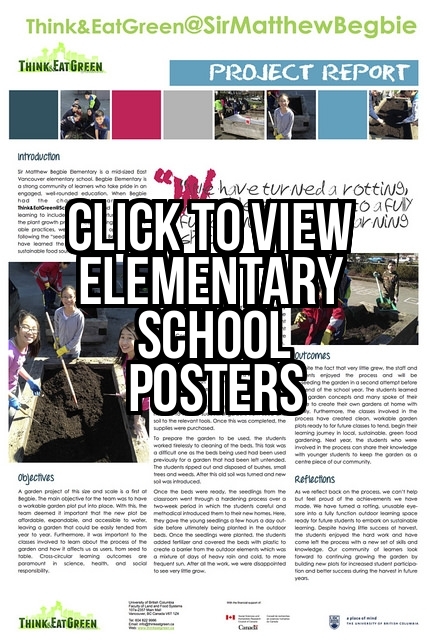 From 2010 to 2015 the TEGS project worked to create healthy and sustainable school food systems in the Vancouver School District. In continuation, the 2017-2019 TEGS project, funded by the City of Vancouver and based at UBC’s Centre for Sustainable Food Systems, in partnership with the Vancouver School Board, is modeled on several successful elements of the original. This two-year continuation of TEGS will support teacher food literacy professional development through school workshops and Summer Institutes, and offer small grants to schools and non-profit organizations, as well as support further research. In 2017-2019, TEGS will support activities and research focused on food literacy and food access. The application form linked here must be received no later than Wednesday, 24 October, at 11:59pm PST. Please note: The TEGS small grant funding is provided by the City of Vancouver in partnership with the Vancouver School Board, and hence is only available to VSB schools. If you are from a school in British Columbia outside of the Vancouver School Board, please visit Farm to School BC for grant opportunities! The TEGS project recognizes the valuable role that non-profit organizations play in supporting food literacy education and healthy, sustainable, and equitable school food systems in Vancouver, and wants to continue to involve and support these organizations. Accordingly, grants will be available to non-profits for the 2018-2019 school year, either to continue existing projects and activities or start new ones. There also may be opportunities for non-profit organizations to be involved in professional development activities. Organizations will also have the opportunities to participate in cutting-edge research on school food systems and food literacy education. An application will be available on this site at the beginning of October. TEGS Welcome & Celebration Event! On Friday, 21 September 2018 at 4pm at Vancouver School Board headquarters, Think&EatGreen@School (TEGS) will have a combination welcome event for 2018-2019, and celebration of the 2017-2018 school grant projects. 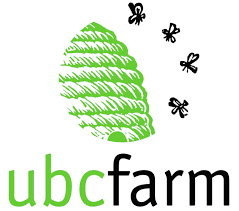 19 February Professional Development Event at UBC Farm! This day of mini workshops will take place on Monday, Feb. 19 at the UBC Farm. The day is hosted by Think&EatGreen@School, Farm to School BC, and the Vancouver School Food Network: a group of non-profits, educators and administrators working towards advancing food knowledge in the Vancouver School District and beyond. Workshop themes will feature hands-on gardening basics (including the new VSB beginner gardening workshop, Rooted in Place), food literacy, and integrating gardening and food into the curriculum. The City of Vancouver has provided $25,000 for TEGS to distribute to VSB schools for small project grants in the 2017-2018 school year. If your school’s team is eligible, these small grants are available to help you start-up, expand, or improve school projects in the areas of food production, food waste management, food preparation, food access, food policy, food justice, and other food systems-related teaching and learning activities. The TEGS project recognizes the valuable role that non-profit organizations play in supporting food literacy education and healthy, sustainable, and equitable school food systems in Vancouver, and wants to continue to involve and support these organizations. Accordingly, the City of Vancouver has provided $12,000 in grants which will be available to non-profits for the 2017-2018 school year, either to continue existing projects and activities or start new ones. There also may be opportunities for non-profit organizations to be involved in professional development workshops and Summer Institutes. Organizations will also have the opportunities to participate in cutting-edge research on school food systems and food literacy education. In partnership with the Vancouver School Food Network and Farm to School BC, TEGS is presenting a professional development day for educators on 20 October 2017. For additional details and registration, click here. Born of a large collaboration between the Vancouver Board of Education, UBC and dozens of community partners, 2010-2015 Think&EatGreen@School worked to create healthy, sustainable school food systems in Vancouver. 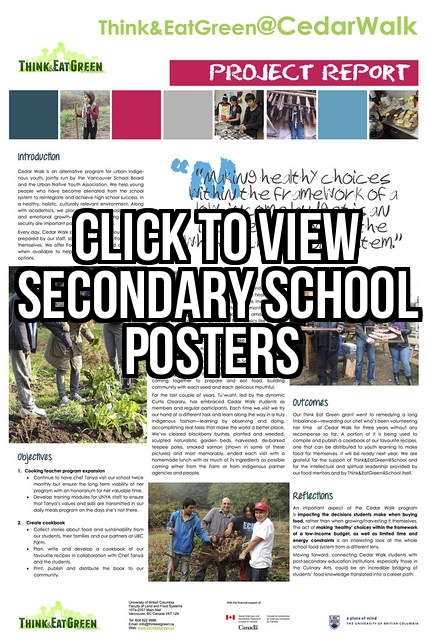 This website shares some of this work, while also providing contacts, tools and resources to support schools and community members in furthering the legacy of the Think&EatGreen@Schools project. From 2010-2015 TEGS funded 51 VSB schools and 6 alternative schools via our Small Grants program. TEGS also placed thousands of UBC students in 48 schools from 2010-2014, to support food literacy and healthy eating. Of the 83 schools in Vancouver that have gardens, only 25 were not involved with the TEGS project.